The Flavour Thesaurus by Niki Segnit is my new favourite book. I bought it back in the summer and I've had it on my bedside table for the last few months. It is very much a reference book, although the prose is so friendly, that I usually end up reading a few pages further than intended. It's a useful book to have to hand, on evenings when you can't quite think what to do with the ingredients you have in the house (hello, pea & rosemary soup). This was also the case when I realised that I'd got the MacTweets 14 deadline wrong by -5 days. Two days before the actual deadline. Putting it another way, one hour after the shops had all closed for Christmas. Following two months of dealing with an intense workload & feeling as though my temples were made of exploding rage, life is going at a slightly less frenetic pace this month. In turn, I'm finding the energy to do something with my evenings, other than stare at the television in a zombified fashion (or on one memorable-for-the-wrong-reasons evening, lying upside-down on the sofa for two hours). Life always seems better when I have the time and inclination to prepare myself a meal from scratch; even more so when I am able to plan ahead and embellish meals with some finishing touch or other that says, I've made an effort. 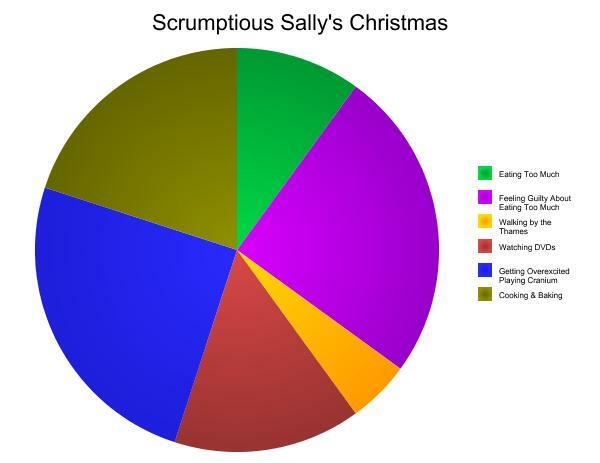 I'm also quite likely to go blogging a bit more this month. 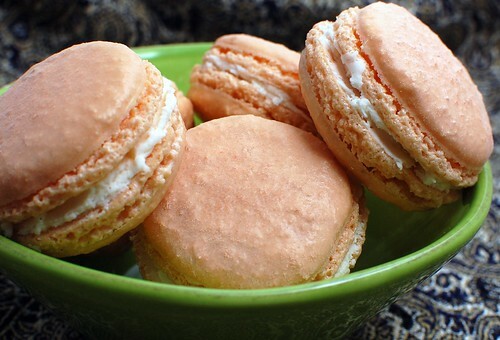 I am almost certainly participating in this month's MacTweets, which has asked us to create sweet and savoury macarons. The last three or four challenges have been presented on a theme, which I'm not too good at (taste of summer..?). I'm also hoping to get time to enter WFLH's Monthly Mingle, as hosted by Ria's Collection. 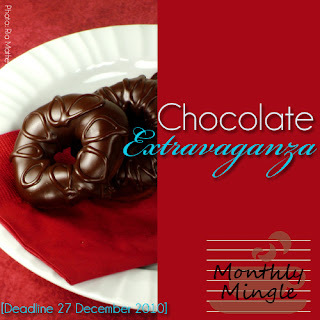 I have to make a chocolate recipe for Christmas; yes? But for now, here is a really easy way to poncify ice cream. I have adapted this recipe, because I don't think the cream is necessary, especially when you have ice-cream helping you out in the background. It's a bit of a Nineties throwback, but if Take That can hack it after 15 years in the wilderness, then I think this dessert can make it back into the limelight. You can use any berries you like, although personally, I would only use raspberries as part of a mix, not by themselves (too sweet with the white chocolate). 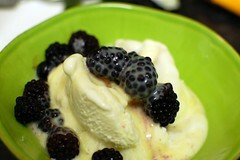 Remove the ice cream and the berries from the freezer to thaw for ten minutes before making a start on the sauce. Place the broken-up chocolate in a small pan with the milk. Gently heat until the chocolate is almost melted. Whisk the milk and the chocolate together until the sauce comes together. Assemble the ice cream and berries. Give the sauce a final whisk, then pour over the berries and ice cream before serving.